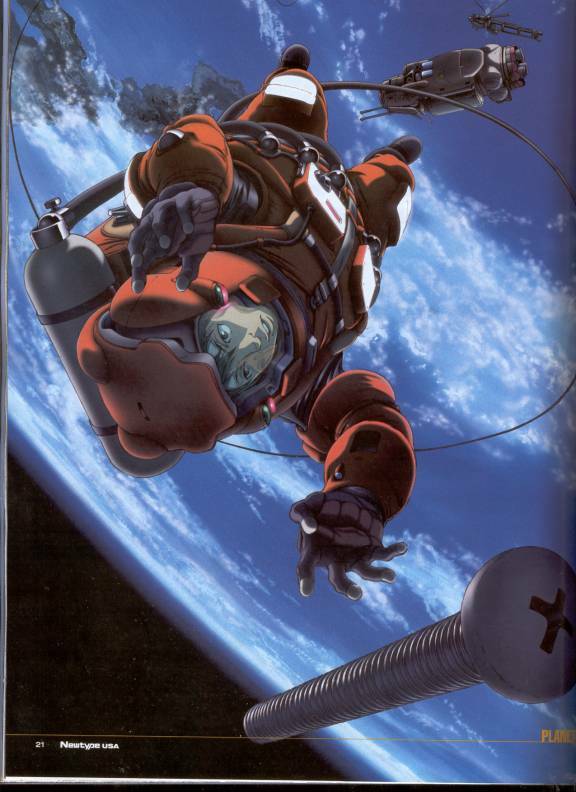 On Saturday, we’re teaming up with the UNSW Anime Society to bring you a marathon of Planetes. Woo! In the year 2075, mankind has reached a point where journeying between Earth, the Moon and the space stations is part of daily life. However, the progression of technology in space has also resulted in the problem of space debris – dropped equipment, cast-off fuel tanks, obsolete satellites, etcetera – which can cause excessive and even catastrophic damage to spacecraft and equipment. This is the story of Technora’s Debris Collecting section, its EVA worker, Hachirota “Hachimaki” Hoshino, and the newcomer to the group, Ai Tanabe. The series consists of twenty-six half-hour episodes, so we’ll easily be able to fit the whole lot into one marathon, unlike our normal sci-fi series – no ending on cliff-hangers. So come along and unwind before the exams start, and show the Anime Society what great people we are. =D It’s a great series, and they put special effort into getting the science right. is basically directly West of Rex Vowels – I’ll hang the orange SpockSoc banner outside so you can see it. It’s a flat-floor room, so bring any sort of chair or cushion or pillow you want to sit or lie on, and we’ll shove the tables out of the way and sprawl. Meals will be decided on the day, so bring money for them just to be sure.